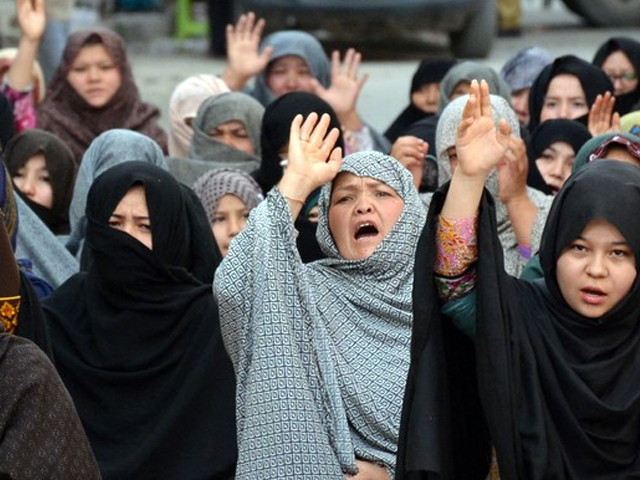 Chief Justice of Pakistan, Justice Mian Saqib Nisar, took suo motu notice of targeted killings of Hazaras, who protested for four days in Quetta. They canceled the protest on assurance by the army chief. The CJP summoned elaborate reports from the law-enforcement agencies including including police and Levies Forces. A report has been sought from the interior ministry in this regard. Hazaras called off their protest on assurance from Chief of Army Staff, General Qamar Javed Bajwa, who visited Quetta on Tuesday. The army chief visited the city and held meetings with the demonstrators, who had called upon him to personally meet and assure them of protection. DG ISPR, Minister for Interior Ahsan Iqbal, Commander Southern Command Lieutenant General Asim Saleem Bajwa, Balochistan Chief Minister Mir Abdul Quddus Bizenjo and Balochistan Home Minister Sarfraz Bugti were also part of the meeting, according to the sources. Hazaras set up hunger strike camps and sit-ins on five different points in the city with a slogan ‘put an end to massacre’. A large number of women and children also participated in these camps. The largest protest camp was situated at Western Bypass adjacent to Hazara Town. The busy road of the city remained closed for traffic.